DotA AllStars Editor is a practical tool that will help you configure your config.dota file in a very fast and easy way. 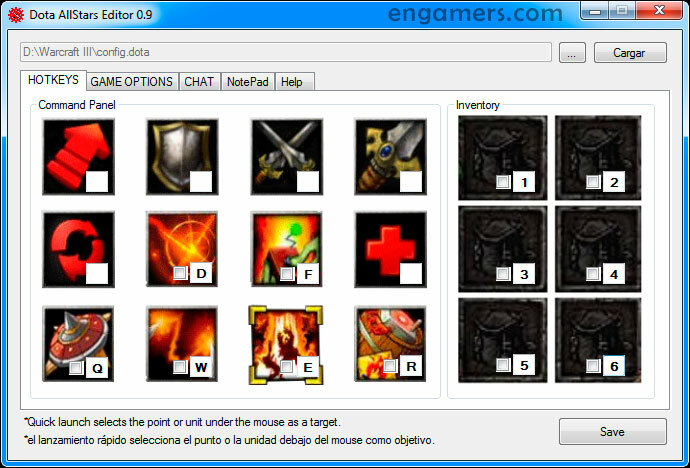 DotA AllStars Editor provides a graphical user interface with which you can configure your skills, inventory, and other options in the game. You just need to open the config.dota file, perzonalice your hotkeys, enable your favorite game options and save. – Customize your skills, Items and options in the game. – Friendly and easy interface. – Select the “Hotkeys” tab, and write your shortcuts for skills, and inventory items. – To save the changes in the config.dota file, click on “Save”. 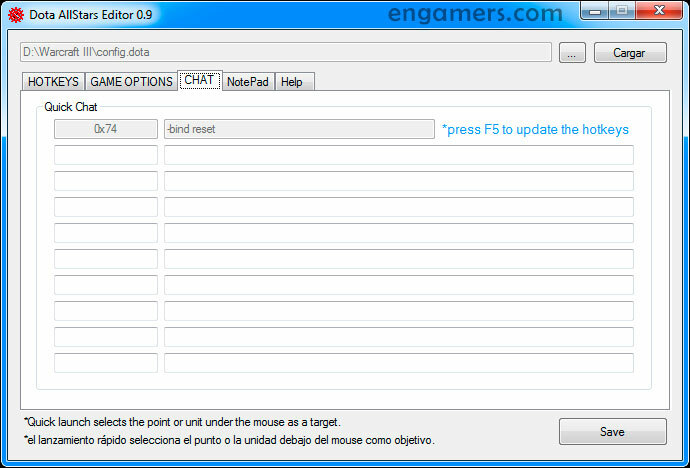 – To create the config.dota file you should only start a game with the DotA 6.88w map. 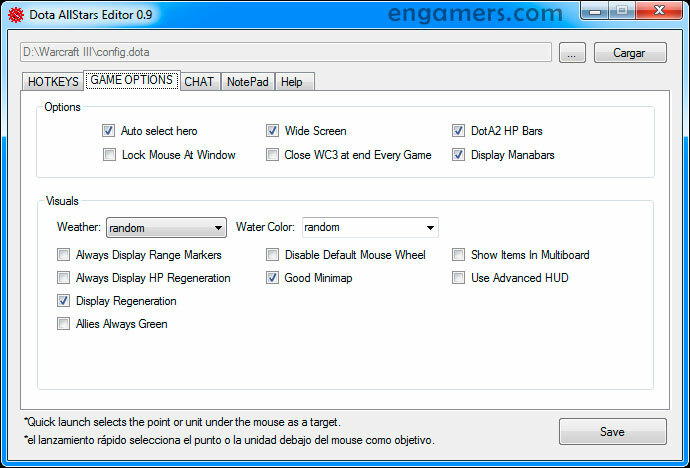 – If you want, you can also download the config.dota file, and copy it to the main folder of warcraft 3.
editor showing error says : especifica una ruta valida o….